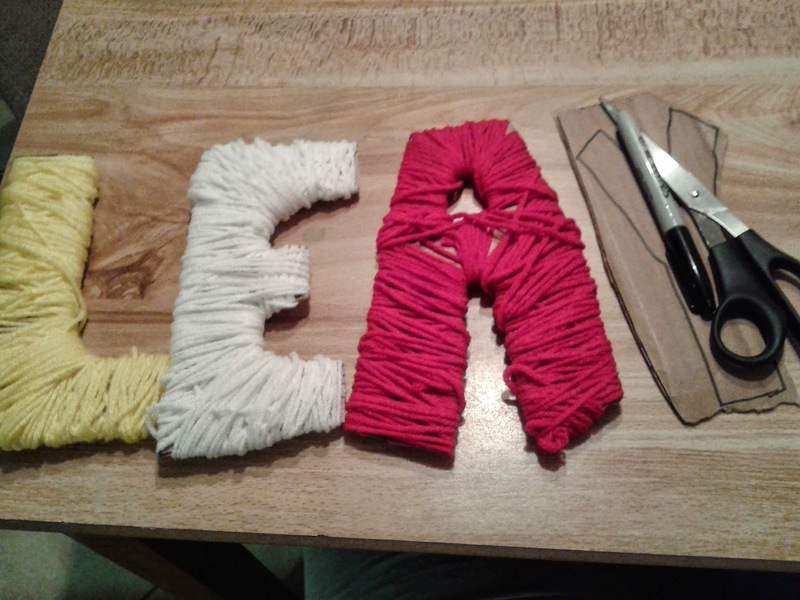 I saw yarn covered letters on Pinterest. 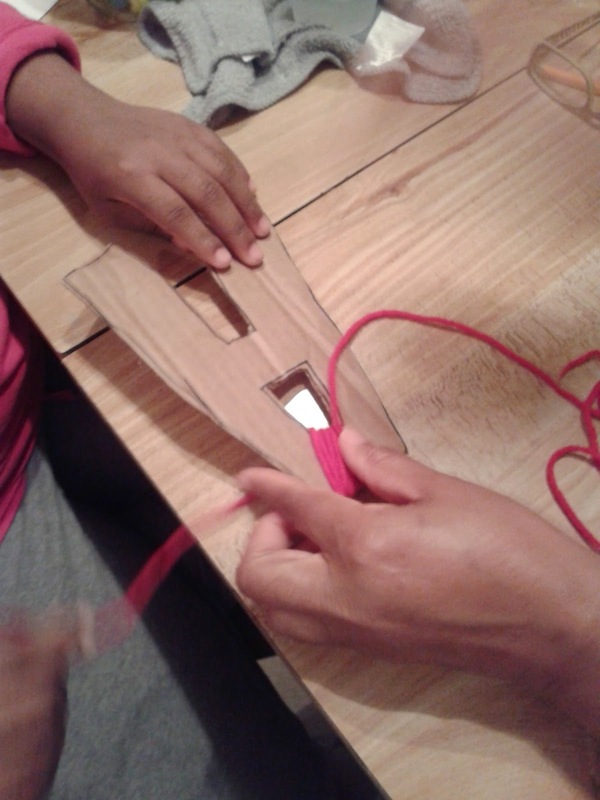 One day I decided to use that idea for my youngest daughter's arts and crafts lesson. First I wrote the letters we would use with a black Sharpie. I love Sharpies! 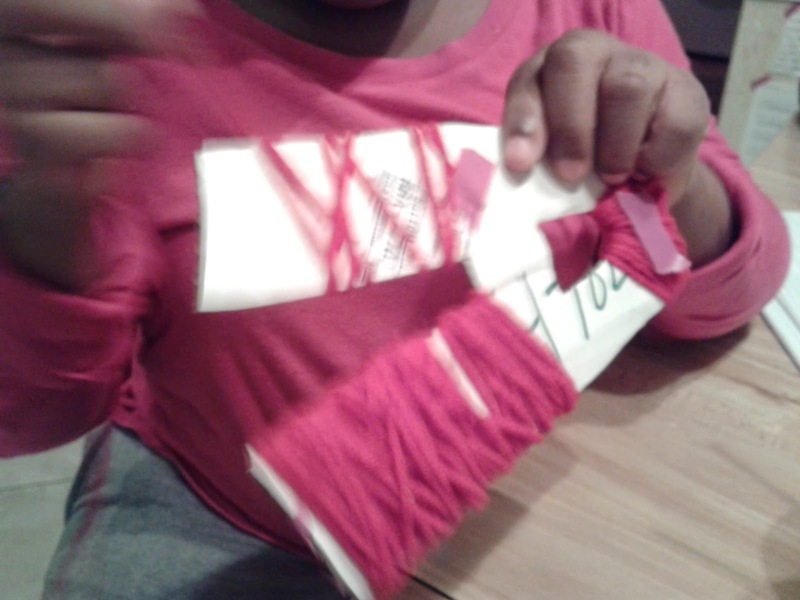 Then we started the wrapping process. 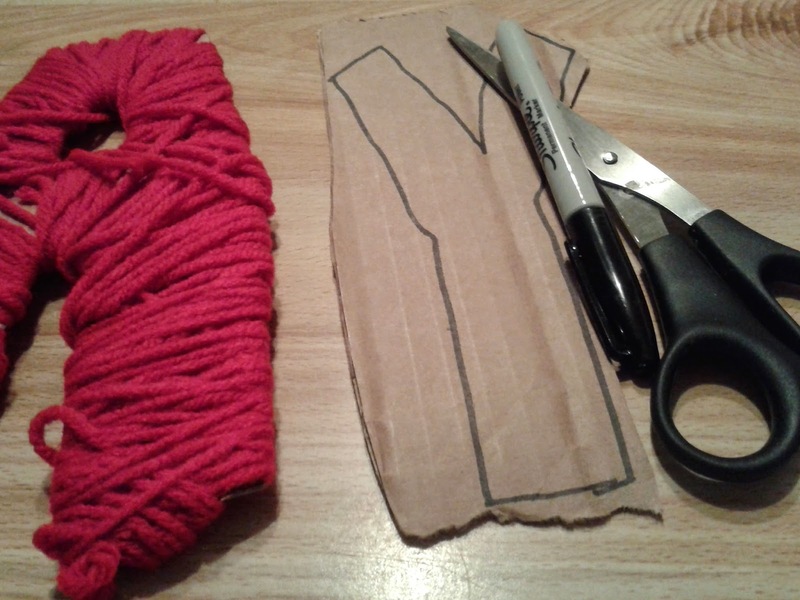 You may have to use tape on the back just in case the yarn is not tight enough or something. 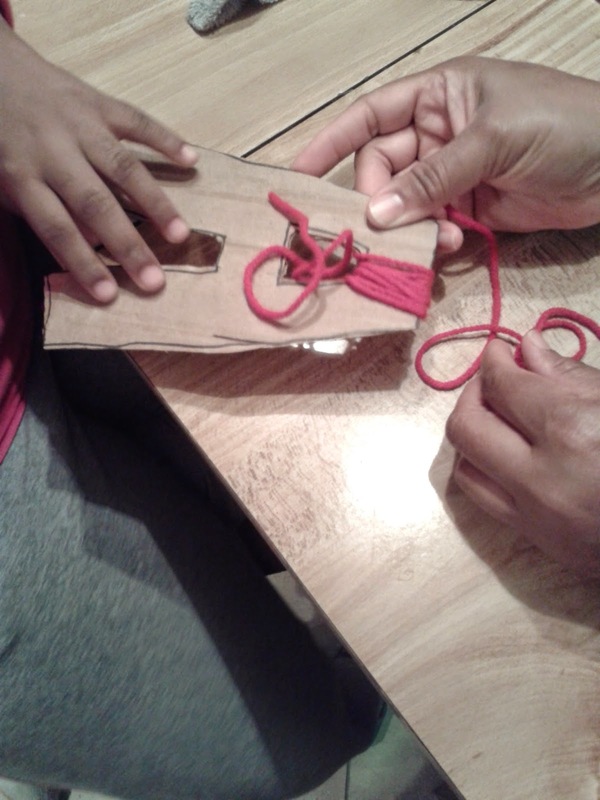 I thought it was a good project for my daughter because of the complexity of the wrapping. Since I crochet and knit, I had the yarn. Some of my family members do a lot of business online so there were plenty of cardboard boxes on hand. We had scissors, tape and markers. I did have to use washi tape though. ...ran out of the other kind. 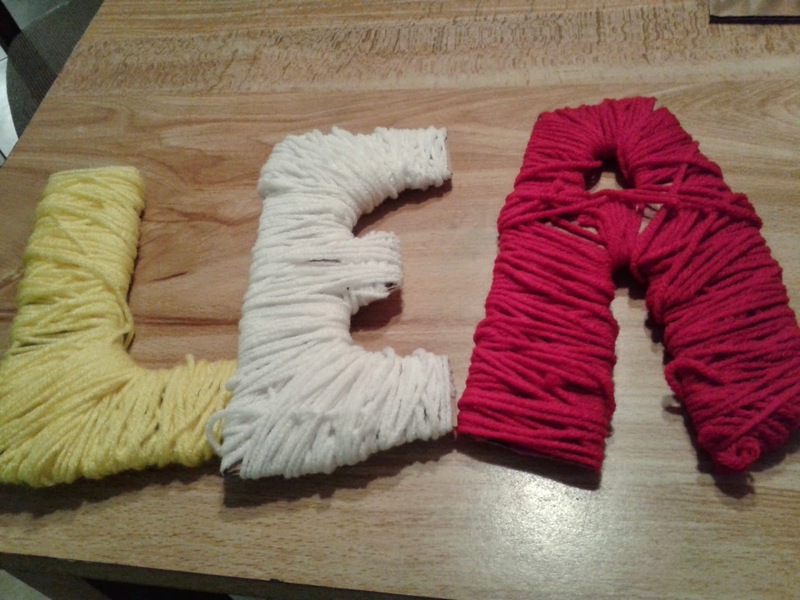 I added a couple of fabric flowers to a few of the yarn covered letters. I thought it gave the letters a little pop!